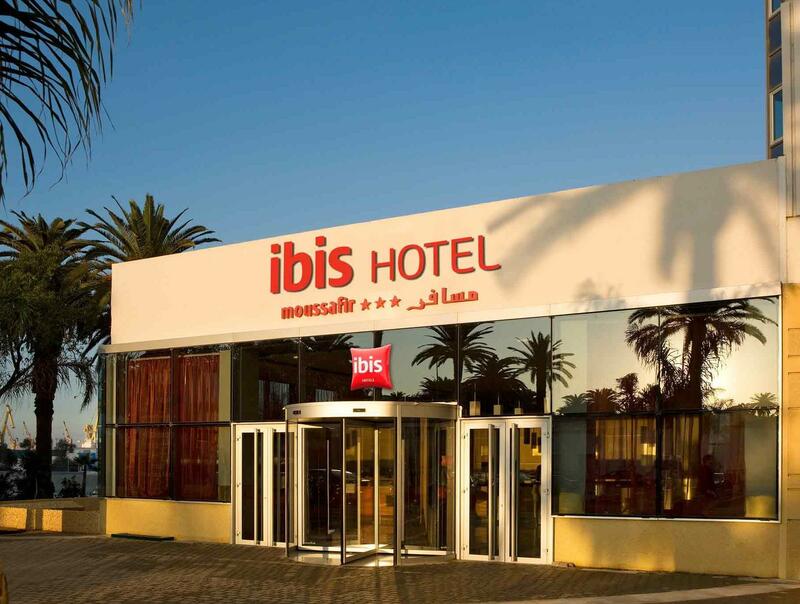 ﻿ Ibis Casablanca City Center Casablanca. JIMAT di Agoda.com! Ada soalan mengenai Ibis Casablanca City Center? Direka untuk kedua-dua tujuan perniagaan dan percutian, Ibis Casablanca City Center terletak di lokasi strategik di Madinah Purba; salah satu kawasan yang paling popular di bandar tersebut. Hotel ini terletak 1 Km dari pusat bandar dan menyediakan akses kepada kemudahan bandar yang penting. Tidak kurang hebat adalah akses mudah hotel untuk ke pelbagai daya tarikan dan mercu tanda bandar, seperti Koubba of Marabout Sidi Belyout, Kompleks Budaya Sidi Belyout, La galerie de l'aimance. Kemudahan dan perkhidmatan yang disediakan oleh Ibis Casablanca City Center memastikan penginapan yang menyenangkan bagi para tetamu. Hotel ini menyediakan akses kepada pelbagai perkhidmatan yang luas, termasuklah meja depan 24 jam, fasiliti tetamu kurang upaya, Wi-Fi di tempat awam, tempat letak kereta, restoran. Ibis Casablanca City Center mengandungi 266 bilik yang dihias indah dan menawarkan ruang tamu asing, penyaman udara, panggilan kejut, telefon, TV satelit/kabel. Di samping itu, pihak hotel menawarkan aktiviti rekreasi untuk memastikan anda mempunyai perkara untuk dilakukan sepanjang penginapan anda. Ibis Casablanca City Center merupakan pilihan yang bijak bagi pelancong ke Casablanca, menawarkan penginapan yang santai dan mudah setiap kali. The hotel is located within walking distance if the old Medina and the port. The staff were extremely helpful and advise what best were to visit in Casablanca. The room was clean and fit for purpose. Breakfast was good. 2km away from Hassan II Mosque, right next to the train station. Very good location. The room is spacious and so is the bathroom. The only downside is that there's smell of the cigarette. The hotel is right next to Casa Port, which is convenient whether you're flying in to Casablanca (there's a direct train from the airport to Casa Port) or if you're arriving by train from other cities in Morocco (trains link Casa Port to Rabat, Fes and Marrakech, though you'll have to transfer at Casa Voyageurs for Fes and Marrakech). It's a 5-minute walk, and you don't even need directions because you can see the hotel from the train station. we have used IBIS since 90s, but this IBIS was very different..not IBIS style and IBIS standard. AGODA must use some ethical and scales while grading hotels. This is so much important as we depend on such scales. The hotel is a good base towards the other lovely cities in Morocco. It's a business/budget hotel, so don't expect all amenities to be present. However, staff were friendly and tried their very best to meet our needs. Your view is the busy streets of Casablanca and the Casa Port Station. Their restaurant is acceptable with reasonably priced meals. Stayed here for 2 nights for our flight out of Morocco. Approx.45 mins to Mohammed V Airport. Three minutes walk from Casa Port station. So if you are flying in from Casablanca Airport, take the train and alight at Casa Port (not Casa Voyageurs). The hotel itself is your usual Ibis hotel. Exactly the same. The hotel was great. The receptionist was very nice to allow us to check in early and checkout late. Breakfast was just ok. Not that much choice. The hotel was near the casa port train. 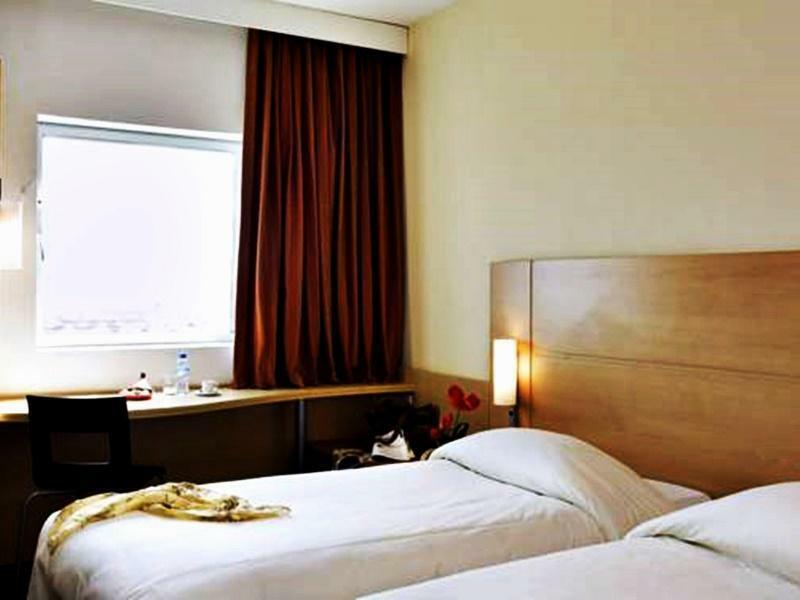 But if you were coming from airport, I would suggest to take hotel near casa voyage. You wouldnt have to change train to casa port. The only disadvantage for this hotel is the housekeeping. She knock the door only for 5 seconds and immediately open the door. It happens to me for 5 times for 2 days stay in Ibis. Its kind of annoying to just open the door like that. We feel like we did not have privacy. When I arrived at the hotel, it took me 10 minutes to wait for check in (there was only one front desk staff to check in and only 1 group ahead of us). When I got upstairs to the hotel room, the key card did not work, while the staff only speaks limited English, they tried to fix the key card for me but it did not work neither. It took me 3 trips to travel to the lobby and the room just to fix the card. The most horrible thing was, the housekeeping lady broke into my hotel room at 9am in the morning WITHOUT KNOCKING THE DOOR AND WE HAVE YET CHECKED OUT. She did not say sorry and ran away quickly. Didn't expect IBIS having such poor quality of service. Good location, easay access from Casa Port and super fast check in! The staff are very rude. The hotel is standard fare. Clean. Small. Comfortable. I was charged 41 MAD for city tax. The next day, they asked me to pay again 26 MAD for city tax. I said I had already paid, but there was no record, no receipt. Also don't know why the charges kept changing. Older gentleman in grey suit charged me the first day. Otherwise, it was just a quick overnight stay. The rest of the staff were nice. Dear Jasmin , We thank you for having taken the time to write to us following your stay at ibis Casablanca City Center. You have a lukewarm memory of your stay and you rightly highlighted certain insufficiencies in the service that was provided to you, and I have been made aware of them. I attach considerable importance to correcting our mistakes, in order to improve the quality and you satisfaction. Please rest assured that we are taking the appropriate measures to address the problem and prevent future occurrence We hope that, following our improvements, we may count you among the guests of ibis hotels, despite your unsatisfactory experience. When we arrived shower trickled and ran cold. Man came and repaired immediately so great pressure and hot water. Room service fast and efficient. Requests addressed immediately. Not perfect when we arrived but fast to assist. Thank you. Overall I did not like Casablanca. This hotel made our stay more enjoyable. The very clean, and modern rooms were a decent size with a great bathroom. The location was good, easy enough to get to other areas. I would stay there again. 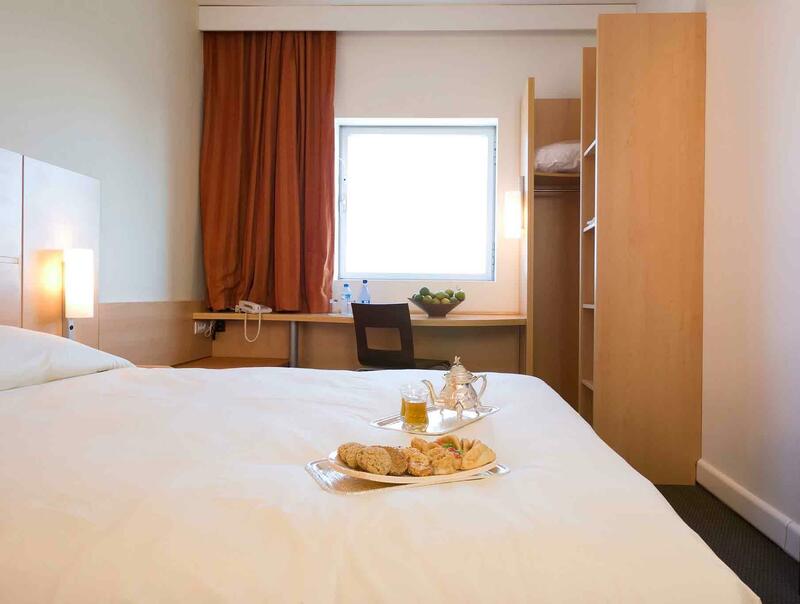 if u looking for a place only to comfortably sleeping you can check on Ibis city centre. The room is no special but also no big thing to complain about. Cleanliness is so so, but still acceptable for me. Room not so big with very basic amenities. The plus point is location. This hotel is in the city centre where you can walk in minutes to old medina, port, or tram station. You can reach many places in Casablanca such as beach, train station, mall, etc by train which its nearest station can be reach in mins walking from hotel. Spend one night at the hotel. Room was correct and comfortable, I thought it was one of the best value for money deals during my one month trip in Morrocco (it was low season). Location was good, free parking is available for guests. Did not try food nor breakfast, but the restaurant seemed to be very popular among locals.